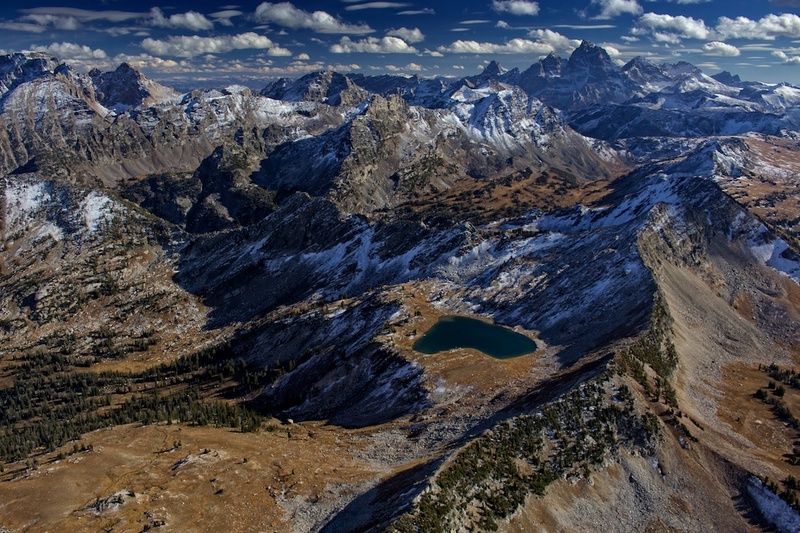 There are smarter things to do with an underpowered airplane that dates from the 1940s than flying perilously close to rocky, vertical, glaciated terrain in the Tetons. 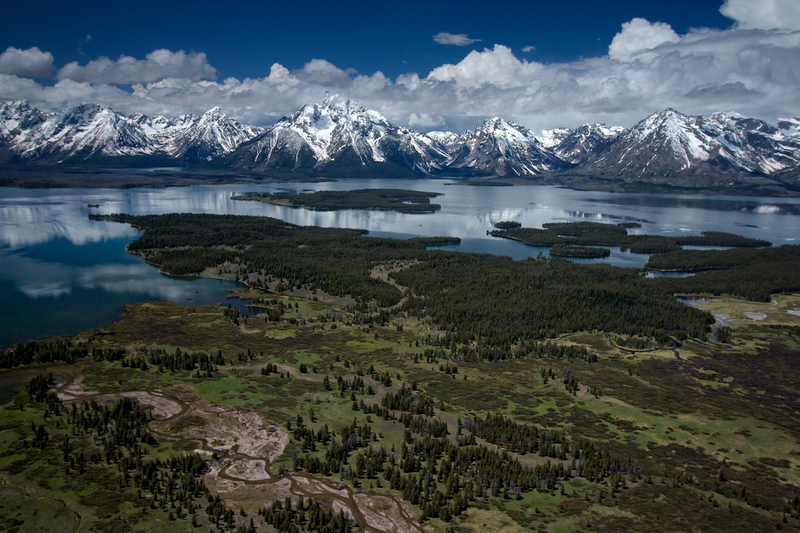 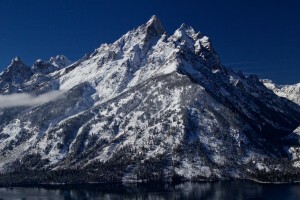 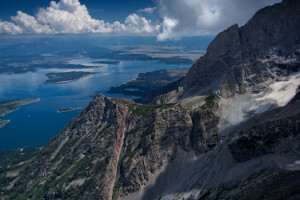 Nonetheless, the author, like a moth to a flame, flew in and around every nook and cranny of Grand Teton National Park during all four seasons and in a variety of weather, photographing stunning scenery in equally as stunning perspectives. 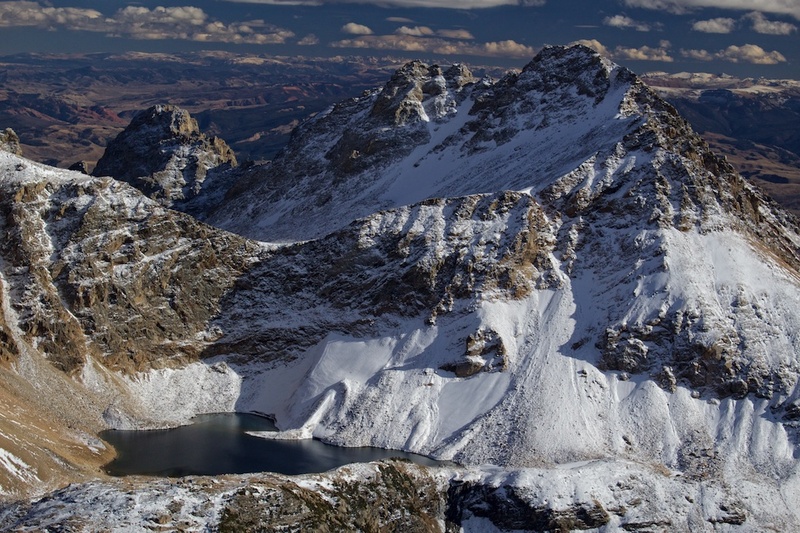 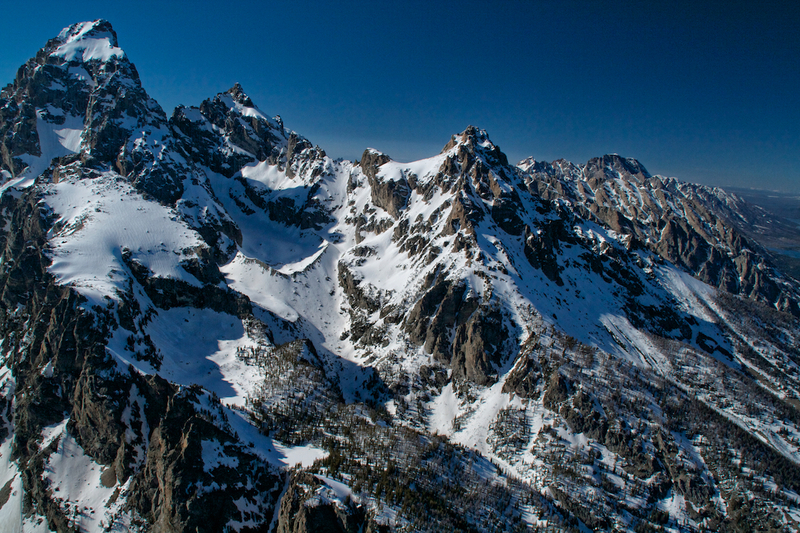 Often above, along, or just under the clouds, many angles of known and lesser known peaks and canyons look as though the images were taken from a nearby mountain. 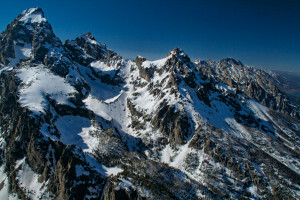 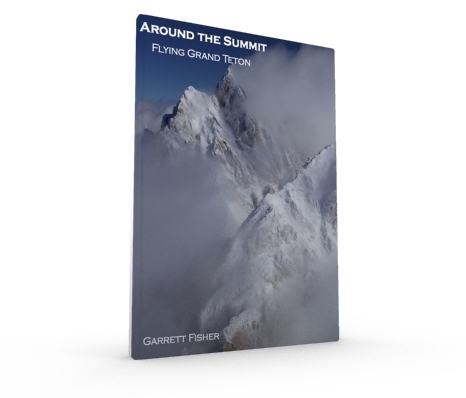 A shameless manifesto to Mr. Fisher’s love of Grand Teton and mountains in general, the book contains 156 detailed aerial photographs that are pleasing to the eye for general audiences and useful information for climbers and mountain enthusiasts.